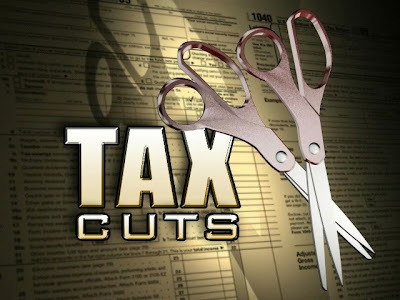 UPDATED @ 5:51 PM: The House voted to reject a stimulus spending bill but passed a permanent half a percent state income tax cut as the Jefferson City budget battle rolled on Thursday. The House voted 82-68 to reject the stimulus spending after some members described it as pork and suggested it should be saved for next year. It's being billed as the largest tax cut plan in Missouri history -- but Democrats call it a gimmick. "This is the GOP's desperation plan," said House Minority Leader Paul LeVota. "They are scrambling at the last minute of the session, they're trying to come up with an absolutely fiscally irresponsible plan," LeVota added. Democrats want to use the plan to stabilize other state programs to prevent future cuts. But Republicans argue a tax cut is the best way to use the stimulus money without committing to ongoing spending. "You can always have good projects and good ideas, but at the end of the day, there's no way you can fund all of them. So I think you try to be fair to everyone and that's where the tax cut idea comes in," said Willard State Rep. Shane Schoeller. I disagree with the taxcut; half of one percent hardly seems substantial. I was reading about Missouri fair tax on www.mofairtax.com; what do you think about this? Will it ever get passed and if it does, is that a good thing?